Today we’ve all finally agreed on a new berth for Atlantia when she comes. It’s a complicated decision considering we live aboard and we don’t want lots of noise or annoyances. There are pros and cons to most pontoons and we’ve run though long lists of what we like and don’t like. The layout of our marina means that most of the bigger boats are on the opposite side of the marina which is divided by a beach in the center. We looked at all of the available berths and although we liked some of them we would rather stay on the same side of the marina. The other ‘bigger boat’ side of the marina also often has live music late in the evening on the terrace during the summer months. There are a very small number of berths available for bigger boats on the next pontoon down from us and luckily there is one available for rent. It, of course, has a small downside that you have to walk through a restaurant terrace to access it, but it means we’re staying on the ‘best’ side of the marina and will be staying very close to our lovely furiends and neighbours. On the plus side it’s also very close to the power box AND we will have the purrfect view of the beach! All in all I’m very happy and excited about it! « We’re buying a BIGGER boat! Sounds like a great choice, Bailey! Yuppers – it sounds like a good decision Bailey. 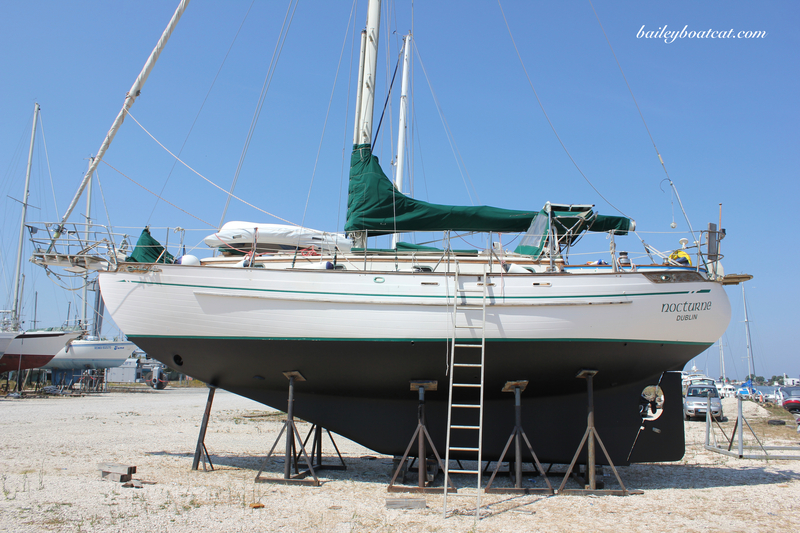 Bet you are getting excited to get the boat — err yaht — err ship — whatever the proper name is. 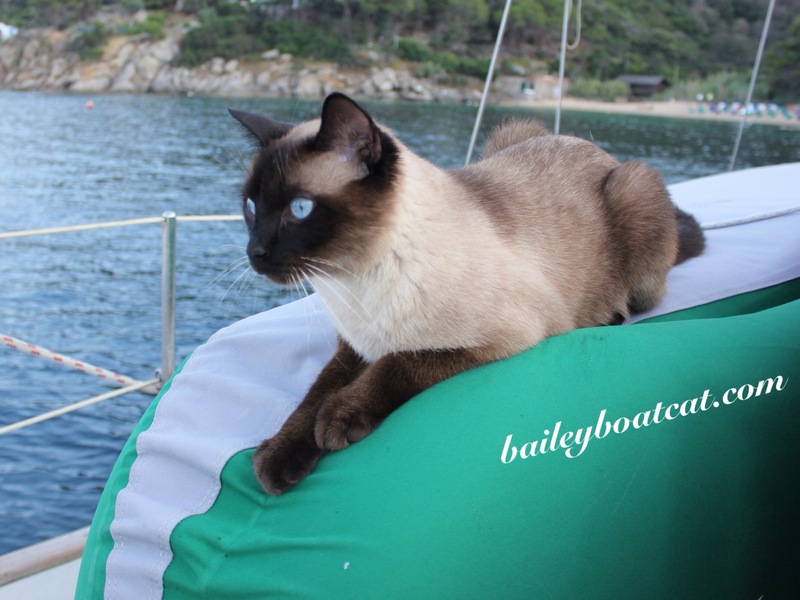 Bailey, it sounds very exciting,this new boat ! How nice to meet all of you and now to hear about your travels. What a great idea for a blog and what a wonderful way to live. I think you’ll look gorgeous on your new boat, B. That sounds like a great spot for Atlantia! Where would your humans be without you, Bailey! You are definately the brains of the outfit!! i can’t wait to see you ensconced in your new, bigger Atlantia! I’m so excited about you getting Atlantia in May. I know that you will have a great time checking it all out. And I am very happy that you will be staying on your same side of the Marina. It is so much nicer when you are in with all of your friends, and won’t be with the partying crowd. With your mum and dad working that would not be good. Happy Sailing Bailey and family. Love your post, I read them daily.